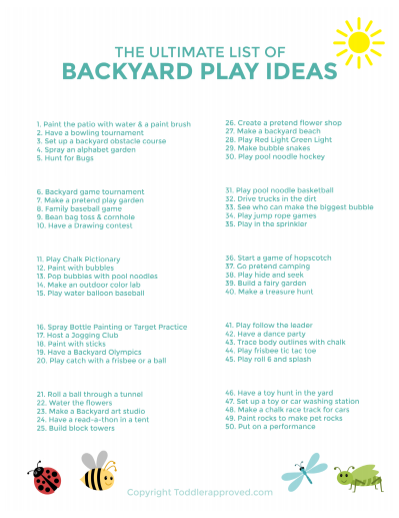 As part of our goal to make summer easy and awesome, we've partnered with Melissa & Doug to share some simple activities and really cool toys that are great for backyard play. I hate it when my kids say, "I'm bored" or are constantly wanting to watch something on Netflix. Sometimes when we get off schedule or return from a trip where they've had more electronics than usual, it takes a little bit to get back in the groove of playing independently. Having a plan can make all the difference! To get our summer started off on the right foot, we set up a Summer Play Grab and Go Station. 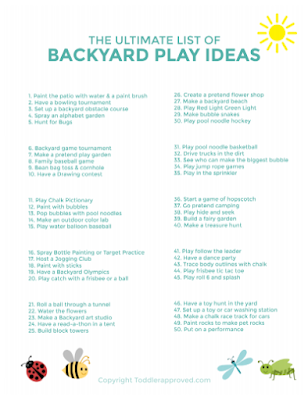 The kids can just grab one or two toys and they are off creating, playing and exploring in the backyard! You can check out our Grab & Go Station post over on Melissa & Doug's "Summer Sparks" series to see the specific things we've been including in our Grab and Go Station so far this summer. We change it up every week or so too! 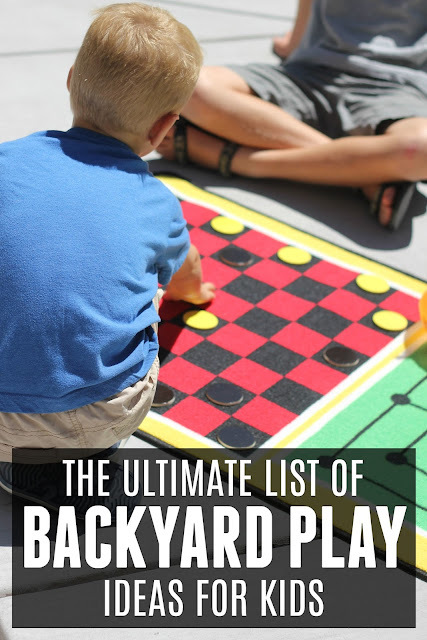 In addition to our Grab and Go Station, we made the Ultimate List of Backyard Play Ideas to keep nearby our back door so that if kids need an idea of something to do, they can just check the list. Often it will spark several other ideas and the kids will come up with something on their own too! Here is our Ultimate List of Backyard Play Ideas (along with a free printable for you)! 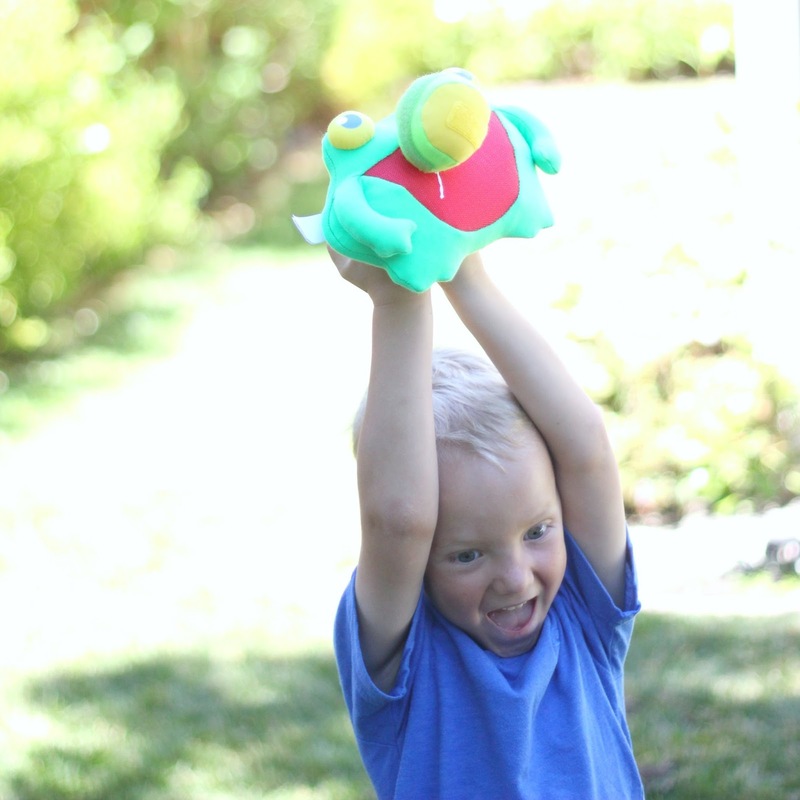 Thanks Melissa & Doug for a few of these fun toys to help make our summer more awesome! We love the My First Sidewalk Chalk Set! Disclosure: This is a companion post to our sponsored Grab & Go Station guest post over on Melissa and Doug Toys. 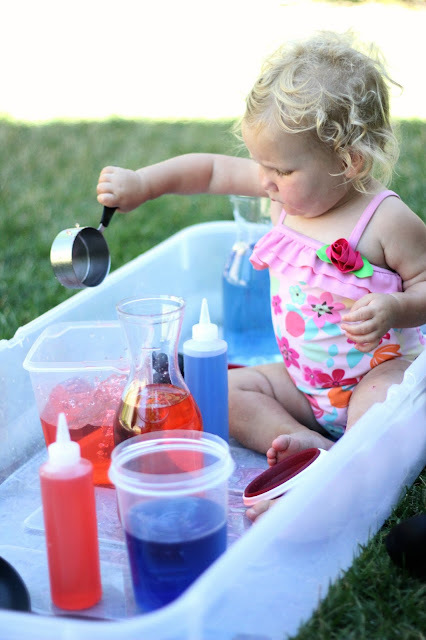 Melissa and Doug provided us with most of the toys featured in this post. All opinions are my own.